This property has multiple opportunities with a complete mother-in-law income property or a fantastic/entertainment basement for one happy family. 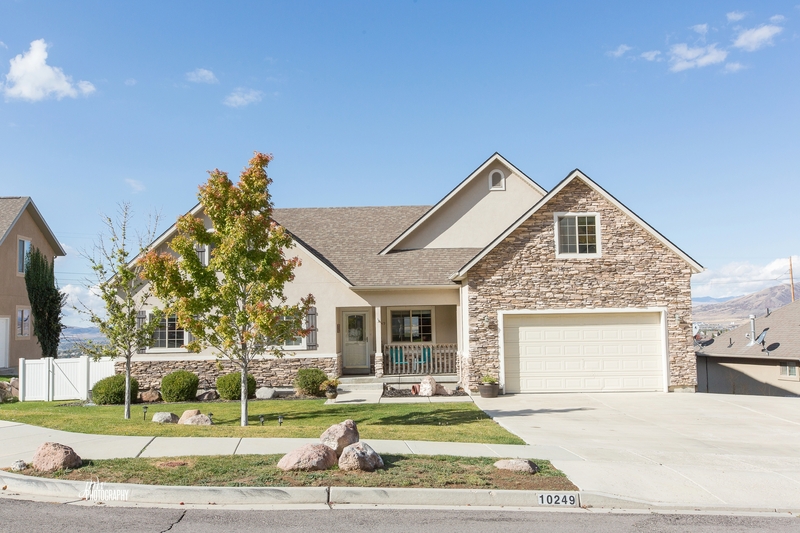 Located in the foothills near the entrance to American Fork Canyon, this home boasts fantastic million dollar views of Utah valley as well as an amazing mountain view from your front door. Recreational opportunities are ample and convenient with AF Canyon, Cedar Hills Golf Course, the Boneville Shoreline Trail and a brand new park being built nearby. The property is in a friendly neighborhood and has the benefits of being in a cul-de-sac without any through traffic. There are many desirable qualities about this home from the large bedrooms, a loft upstairs and a 1600 sq ft mother-in-law apartment with a walk-out private entrance. This basement unit adds great value and potential income to the property and is 100% finished with 2 bedrooms, a full kitchen including dishwasher, island AND washer/dryer hook ups. New and renovated features in this home make it a comfortable and appealing place to live. For example, there is a new 16×15 ft trex lighted deck as well as new wood flooring, insulation, and a brand new air conditioning unit installed just 3 months ago. The carpet on the main floor is also new. These, and many other advantageous qualities of the property make this home one of a kind. Don’t miss your opportunity to live here !